This mani was inspired by one of my all time favourite nail artists @Ninanailedit. I literally love every single one of her mani creations and have to try them out myself! 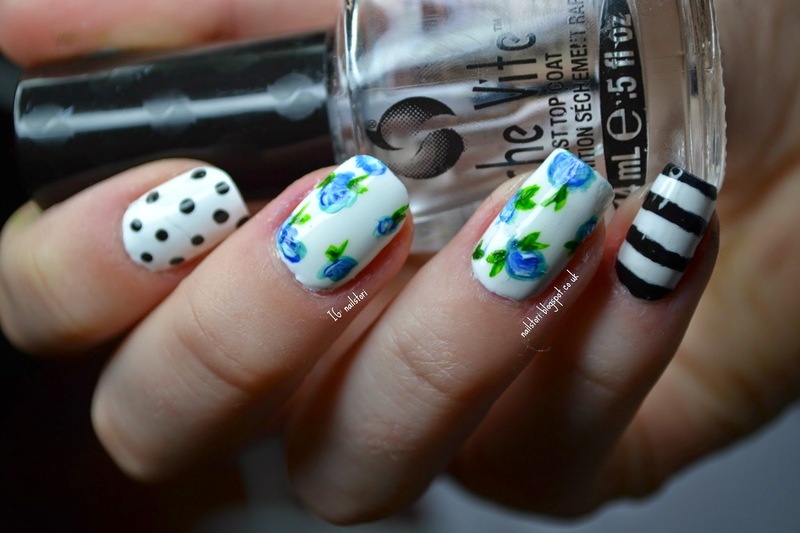 For this mani I used: OPI – Natural base coat, Sinful colors – Snow me white, Nanacoco – Love black, Acrylic paints for the flowers and Seche Vite – Fast dry top coat. Also using a dotting tool and tape to create the monochrome nails. To create the flowers – First, I put a few acrylic paints onto a palette to mix the colours I wanted. To create the flowers I layered on 3 different colours creating circular shapes. It’s very much a trial and error process when creating flowers! There are lots of good beginner video tutorials on Youtube. 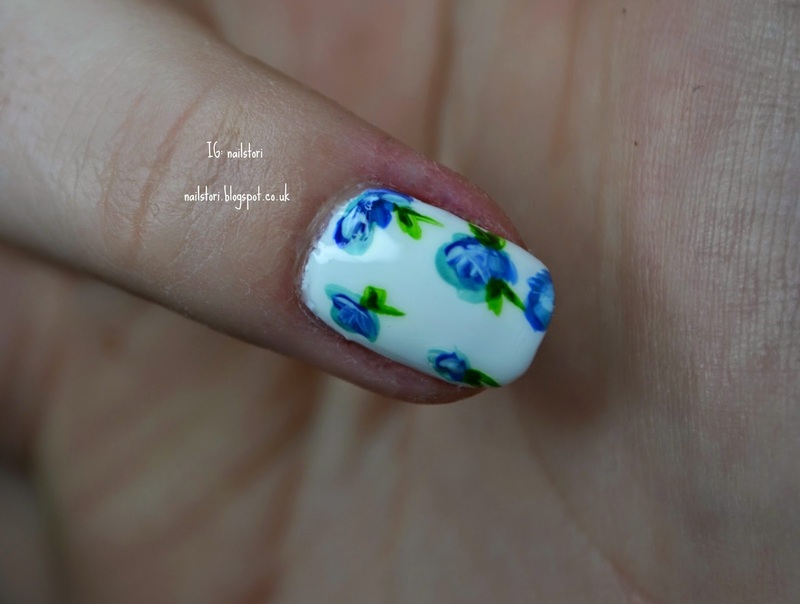 I love the flowers because light blue/turquoise are my fave colours – I’m going to try them again with different accent nails to see what I can create! Please excuse my poor cuticles at the moment – they’ve been suffering from a little neglect.